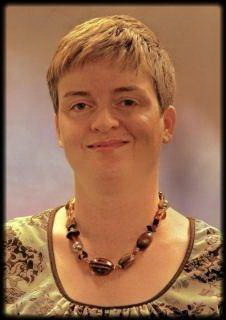 Franklin West Supervisory Union is pleased to announce that Linda Keating has accepted a position as the new Director of Curriculum, Instruction, and Assessment at Franklin West Supervisory Union, effective July 2015. She will replace Mary Lynn Riggs who is retiring after 6 years at FWSU. The decision made by the Franklin West SU Board of Directors follows a lengthy search process which began January 2015. A search committee was formed of superintendent, principal, content-area specialists/teachers, paraprofessional, school board member, and FWSU staff. Following interviews, the committee identified 2 finalists out of a pool of 10 applicants. Linda Keating was presented by Superintendent Kirsch to the FWSU Board and they voted unanimously to offer her a contract. Linda Keating is currently Elementary Principal at Sheldon Elementary School in Sheldon, VT where she has served for the past 3 years. Prior to that, Linda served as Assistant Principal for Curriculum at BFA S. Albans, and was Executive Director of Curriculum at Chittenden Central Supervisory Union. Ms. Keating received her M.Ed. from the University of Vermont and brings over 35 years of experience in education. The Board is confident that Linda Keating’s extensive knowledge of curriculum and broad administrator experience make her an excellent fit for this position. We look forward to welcoming her to FWSU in July! We would like to welcome Angelique Fairbrother to FWSU (@fwsutech) as our new Digital Learning Specialist. Angelique will work directly with each school in our supervisory union to provide leadership, expertise, and support for use of instructional technology resources. Angelique is a teacher leader who will be responsible for supporting and mentoring instructional and administrative staff and students in the integration of appropriate media and technologies in the classroom. She will help align the FWSU Action Plan, Common Core State Standards (CCSS), and ISTE NETS with instructional practices that yield the highest standards of student achievement, instructional excellence, and community support for technology. Angelique has extensive experience as Technology Instructional Coordinator at Decatur Public Schools. Her work in Decatur focused on implementing 21st Century Learning skills in all curricular areas based on student data Angelique earned her Masters Degree in Curriculum and Instruction from University of Illinois. Prior to her experience as a Technology Instructional Coordinator, Angelique was a middle school science educator. We are thrilled to welcome Angelique to our team! You know it is almost that “time” again when our new teachers arrive for summer inserivce. On Monday, 11 new teachers gathered together for the first time to spend a half-day learning about FWSU. The morning began with an overview of the FWSU vision and action plan led by Superintendent Ned Kirsch. Director of Instruction Mary Lynn Riggs and Support Services Director Kim Magnuson also spent time working with our new staff on issues ranging from FERPA to our evaluation system. 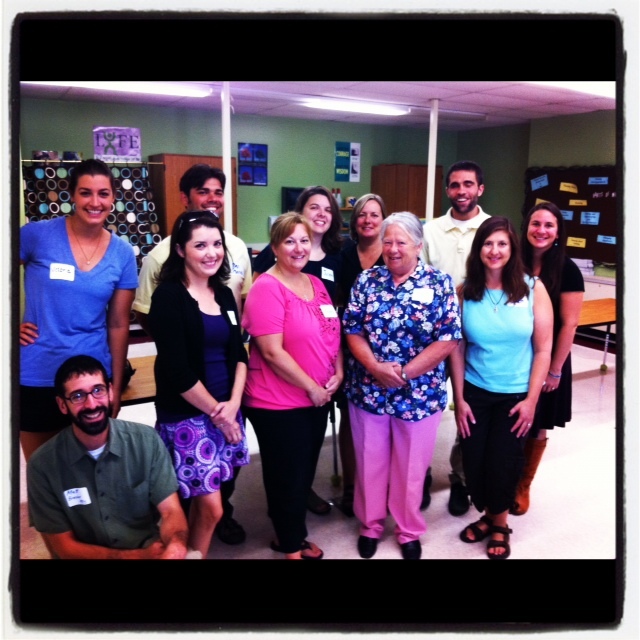 New teachers returned again Tuesday to partner and work with their mentor teachers. We are very excited to welcome a great new class of educators to our schools! At FWSU, our students and staff have access to a wide variety of technologies for educational and administrative purposes. We rely on the technology tools and resources towork every time. FWSU is very fortunate to employ an amazing team of technology personnel who to make sure that our systems and resources continue to be reliable and functional. Often, our behind-the-scenes tech cadre go unnoticed – until something is broken and needs repair. Their work is critical to to the overall success of our students. They are responsible for the wireless networks that allow for learning to happen anywhere in the school at virtually any time. They maintain the hardware and software that is used on a daily basis so that our students and staff can access the world. Keeping this “ship” afloat is no easy task. 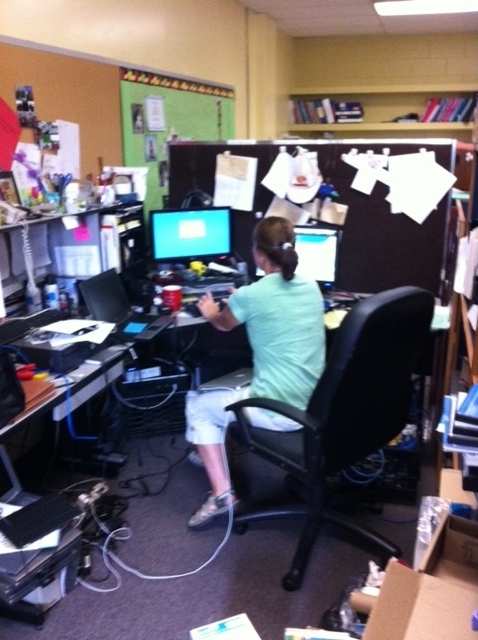 This summer, like our maintenance staff, our IT staff are working hard to get our schools ready for the first day. Join us in thanking our technology staff for all they do to support an environment of teaching and learning in our schools! Summer is a time for many things in each of our schools. Learning continues, but cleaning, painting, moving, fixing, reorganizing, waxing, building (just to name of a few of the activities) are in full bloom. The above picture reflects a typical hallway in every school during this time of the year. We are very fortunate to have a great staff of maintenance personnel in our schools, led by Facilities Director Tod Granger. The jobs they perform are essential and often go unnoticed. 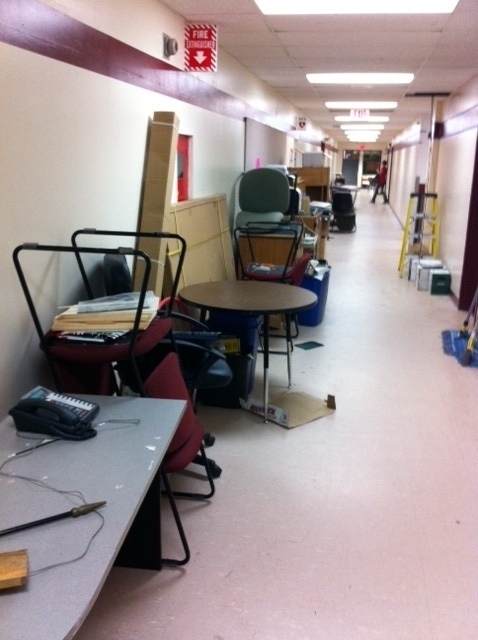 On this rainy Tuesday, our thanks go out to all of our maintenance and custodial staff. Our schools continue to look good and we appreciate all their hard work throughout the year!